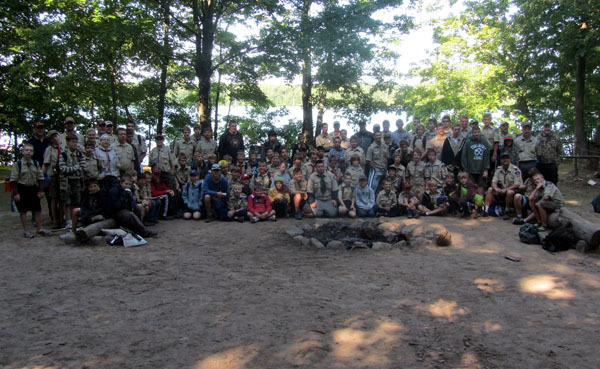 It was Boy Scout Camp week and the boys headed to Birchwood, Wisconsin for a great experience at Tomahawk Scouting Reservation. It's basically a week where they don't have to take showers or listen to their parents and get to hang out with their friends all day long. We're always surprised when we can get them to come home afterwards. Miss Sheri and I came up on Thursday night to join them for their final two nights of camping. This is the house that Miss Sheri built. While Todd watched! This is the Bear Box. 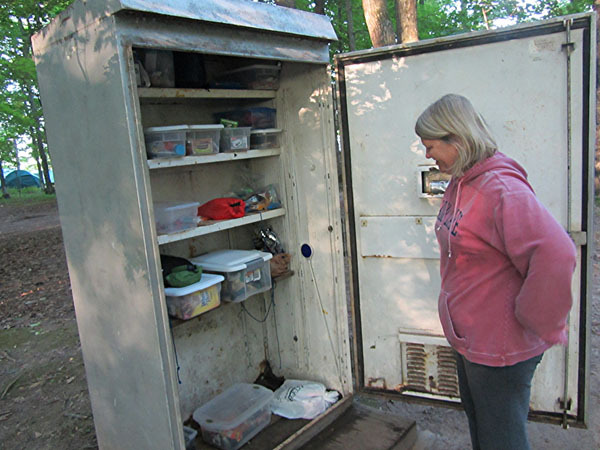 We're supposed to keep all of our food and other "Smellables" in here to keep them safe from bears. I always want to sneak a candy bar back into our tent at night so we can use it as bait. I figure if we could just get a bear into our tent, we could then keep him as a pet! But for some reason, Miss Sheri won't ever let me do it. Morning time is quite invigorating at camp. 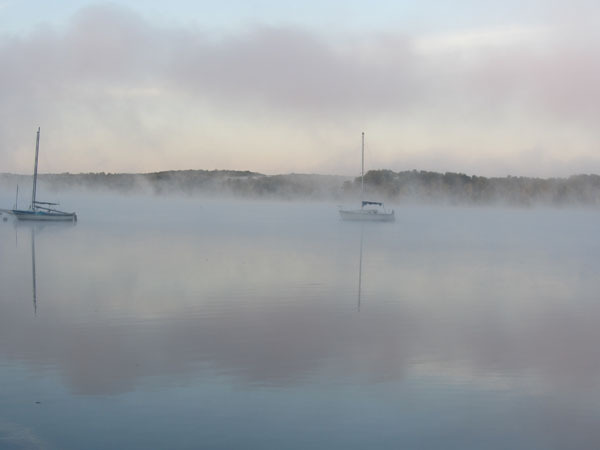 The mist makes me hum "Smoke on the Water" to myself all day long. Then one of boys bellows "Fall In" and everyone gathers for the first flag ceremony of the morning. It's such a good experience for the boys to do stuff like this. 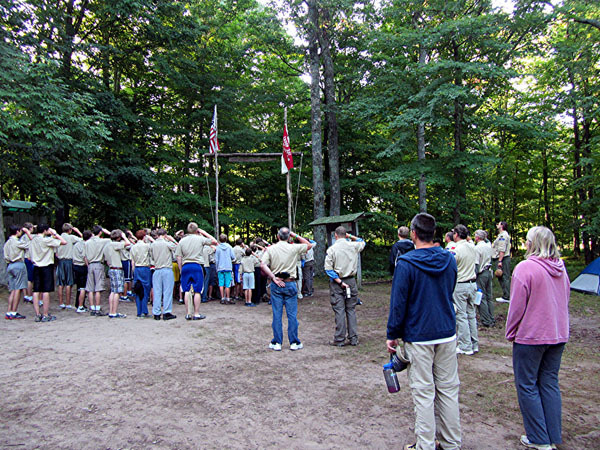 A second flag ceremony happens with the entire camp and then we all cram into the dining hall for some exquisite cuisine. On this particular morning we were treated to sausage corn dogs and blueberry muffins. All I could do was wonder how good would these items work as Bear Bait? 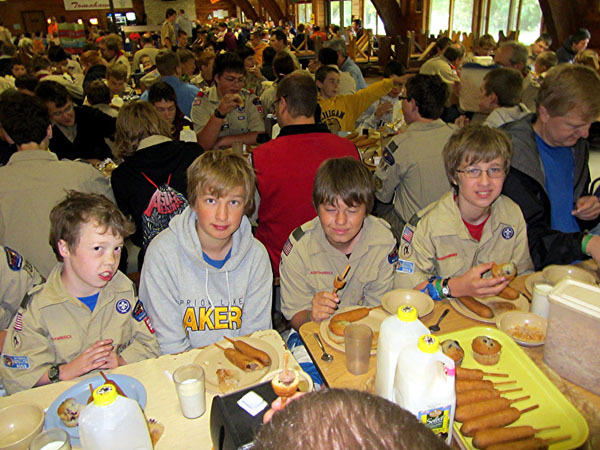 After breakfast, the boys spent a lot of time improving their scouting skills. We were so proud of them this year!! 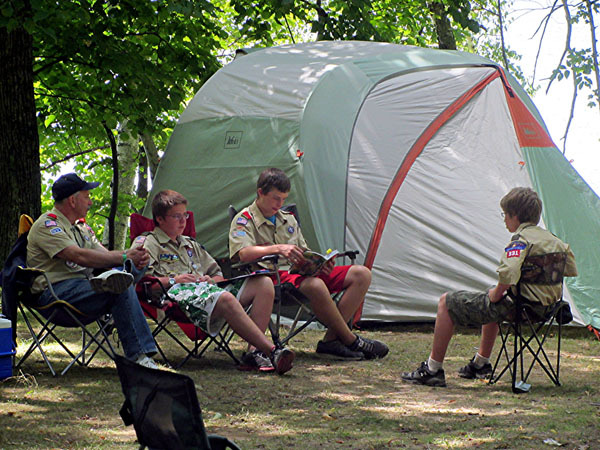 They earned 13 merit badges between the two of them and both advanced to the rank of First Class Scout. They started talking like they really want to put in the effort to earn the rank of Eagle Scout some day. That would be so cool! 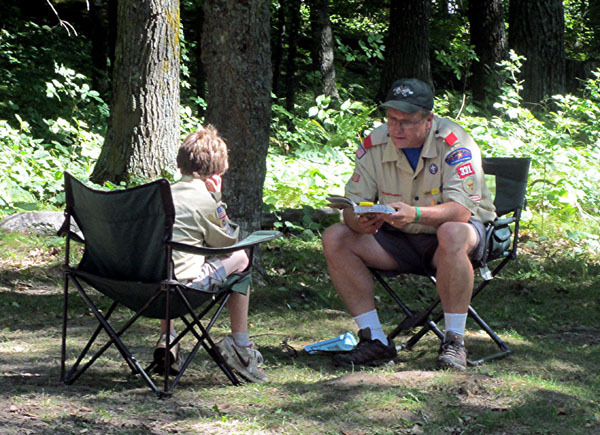 Troop 331 has a new scoutmaster this year in Troy Brown. He's someone we know well since he originally recruited us into Cub Scouts way back when the boys were in 1st grade. 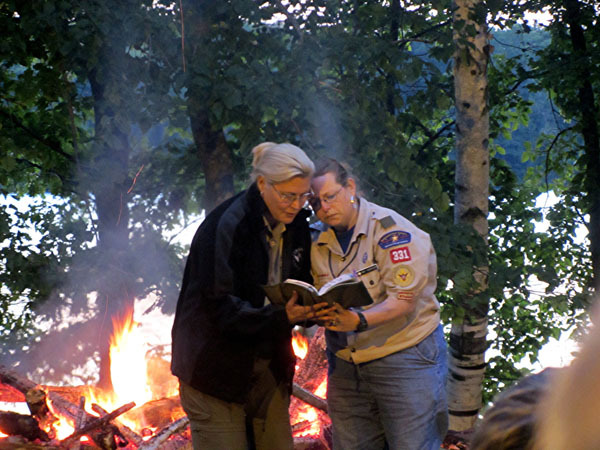 He's a great adult leader and the boys of Troop 331 are sure lucky to have him! 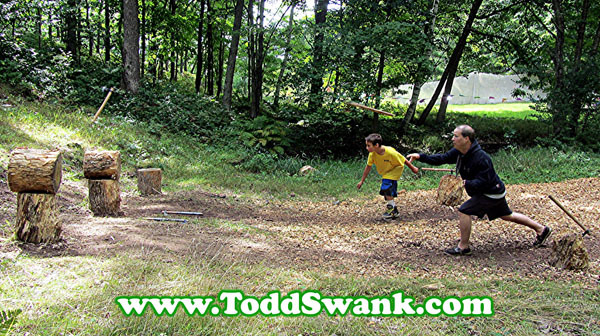 While the boys were back at camp hard at work, our old buddy, Karl Ziztzewitz, Miss Sheri, and I snuck away to participate in some of the camp activities. We hiked through bogs, threw Tomahawks, and even shot rifles!! 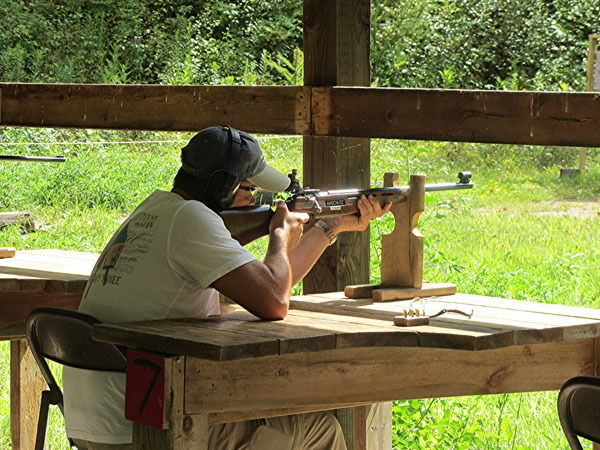 We didn't earn any merit badges for ourselves, but we sure had a good time! 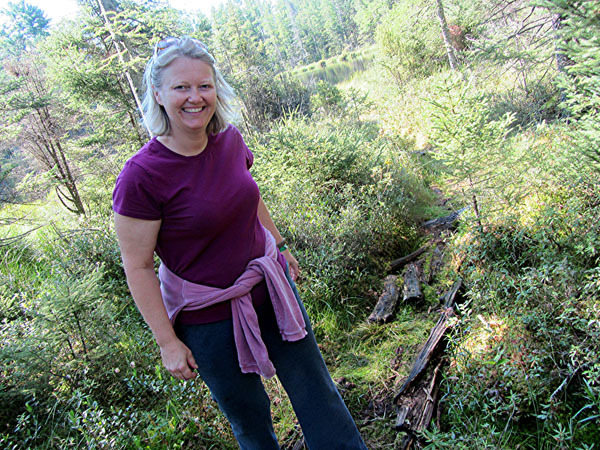 I like following Miss Sheri through Bogs. Even if the ground is kind of squishy. Karl was pretty tired after a full day of activities. 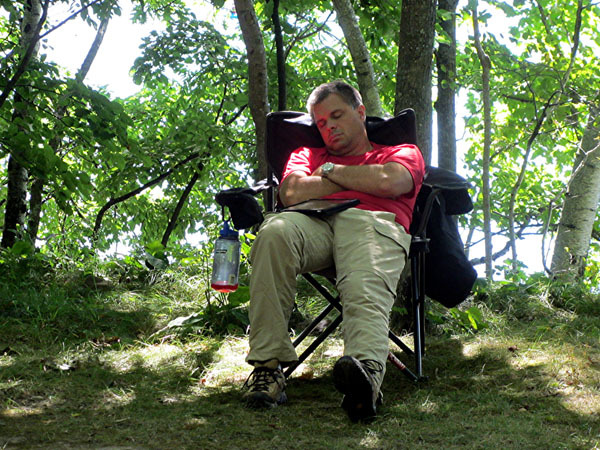 He was plum tuckered out and fell asleep shortly after we came back to camp. Cute Little Tyke that one is! 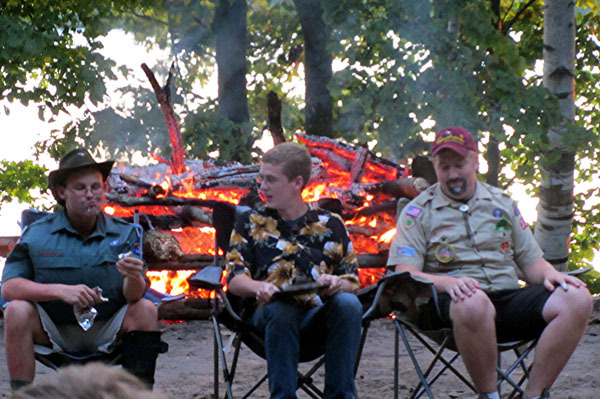 On the final night of camp, there is a big campfire and awards ceremony where the Scouts perform a whole bunch of skits. These three guys did impressions of three of the adult leaders that were absolutely hilarious. I'm thinking some of them just may have a future in Hollywood some day! The adult leaders also got in on the act and showed the kids that they didn't have a monopoly on the funny times. The skits were all just awesome! What a great week at camp!! 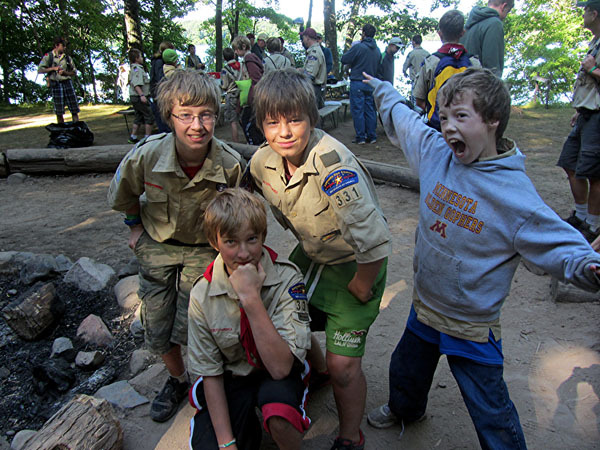 Troop 331 out of Prior Lake, Minnesota in 2012.